Traveling between countries has become so predictable. You can catch a cruise or flight to almost anywhere these days, but where’s the excitement? We humans have a habit of getting bored of things so quickly that we never stop thinking about how to make things better. It’s that endless drive for improvement that spurred Englishman David Jarman to create the Limite Zero zip line that takes you from Spain to Portugal. The unique selling point? It takes you back in time! Okay, so this zip line might not be a time machine, but it still technically does what it advertises. Due to the one hour time difference between the two countries, every time you travel along the zip line, you’re technically going back an hour in time. How’s that for déjà vu? It’s not often that you can cross through time zones as easily as this. The zip line starts in Sanlucar de Guadiana, a localidad in Andalucia, Spain and ends in the Portuguese town of Alcoutim. Set more than 2300 feet in the air, the trip only lasts about 60 seconds, but passengers can reach speeds of around 50mph when flying high over the Spanish countryside. The zip line covers a distance of 720 meters, 150 of which is made up the Guadiana River which separates the two nations. Once people land in Alcoutim, you’re free to explore the local area. There’s no time limit on your trip, so they can stick around for several hours if you want to experience what the town has to offer. When you’re ready to return, the service provides a ferry that’s just a five-minute walk from the landing zone. These ferries run regularly and are free to use, because the cost of them is included as part of the zip line payment. How much do you have to pay? Only 18 euros (which is around $22). The Andalucia to Alcoutim zip line is the first of its kind ever to be created. The proximity of the two countries meant that setting up a structure like this was possible, although not necessarily an easy feat. However, Jarman admits that “I love a challenge” and that a zip line was the best way to “unite both places.” There had been a lot of discussions before his intervention about building a bridge over the river. However, no plans for this ever came to fruition, so Jarman took it upon himself to bring the two countries together in a much more exhilarating way. 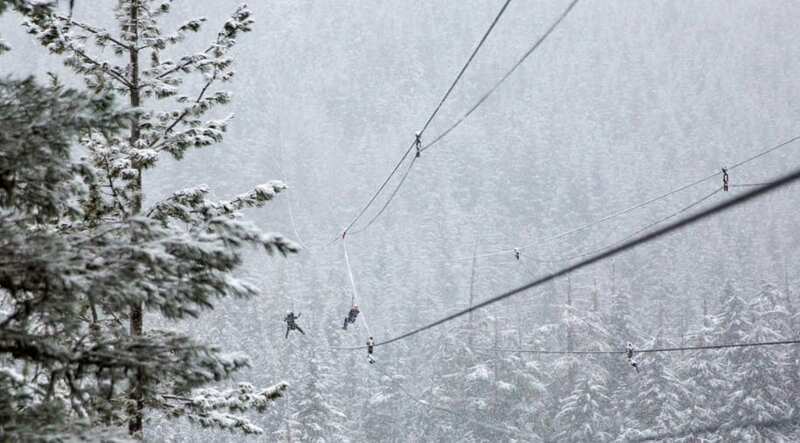 People wishing to use this zip line have to abide by certain conditions. For instance, no-one under the age of 14 is legally allowed to use it. Those between the age of 14 and 16 must have parental guidance, and need to be collected by their represented adult once landing in Alcoutim. The zip line also has a weight restriction of 242lbs. These limits are liable to change should the weather conditions force them to reconsider safety precautions for certain individuals. We wish that traveling from one country to another could always be as exciting as this. There’s nothing like an adrenaline rush to make crossing over borders an experience you’ll never forget.